Don't have a player in the program but want to support CRYHA, buy one of our February daily drawing calendars. There is a Daily Dollar as well as a daily Gift Card winner for each day of the month. The drawing is held at CRIC and open to the public. If you would like to buy one or many to give out, please contact Sue Erickson via email by clicking HERE. 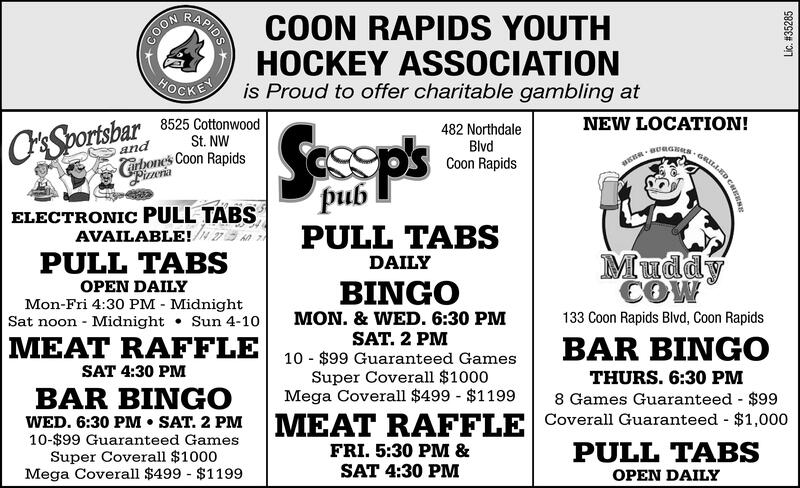 If you love to play Bingo, why not come out to support CRYHA and our Sponsors by playing Bingo! Want to have Bingo Events added to your mobile device calendar? Click the iCal or RSS feed below for directions.